We all know that Indian cuisine in London is probably the best place in the world to experience the culture through gastronomic compositions beyond India. 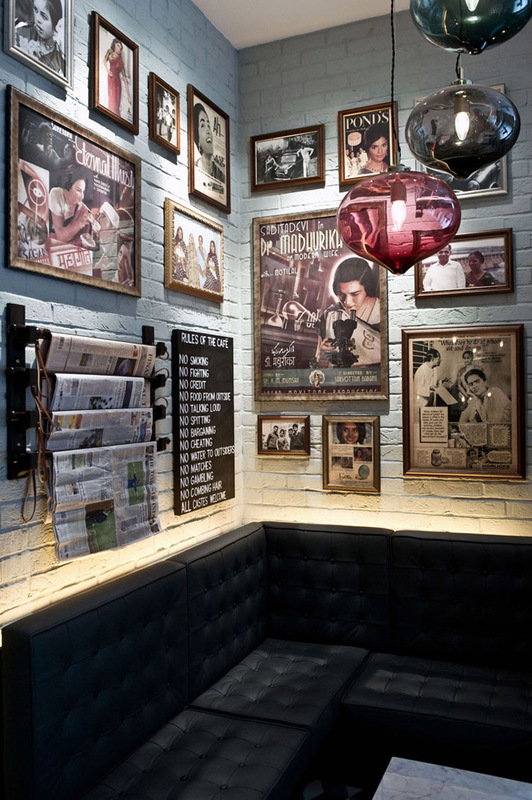 To accompany the cosmopolitan and creatively progressive culture of London, Afroditi Krassa designed a clear, fresh and unexpected environment that makes Dishoom shortlisted one of London's Best Design Award 2010 by Time Out Magazine. 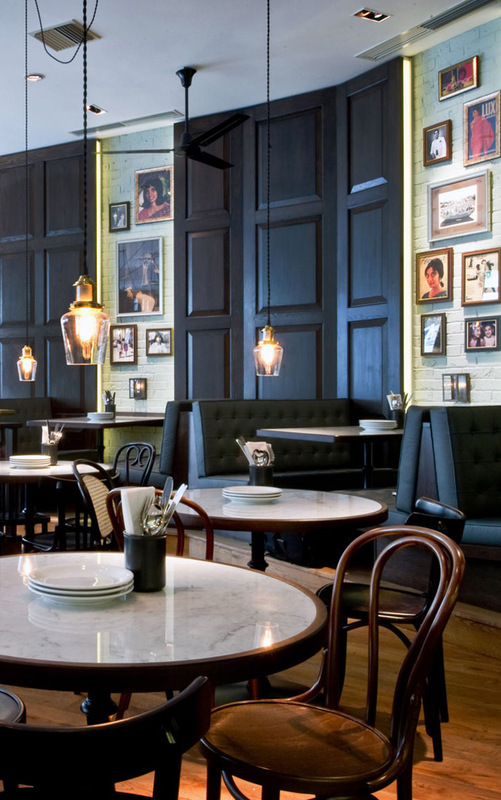 Located in Covent Garden, Dishoom achieves the rebirth of the Irani cafes that were so integral to Bombay (currently Mumbai) in the early 20th century. Such achievement does not come easy, it takes trust, commitment and a collaborative relationship between designer and entrepreneur. 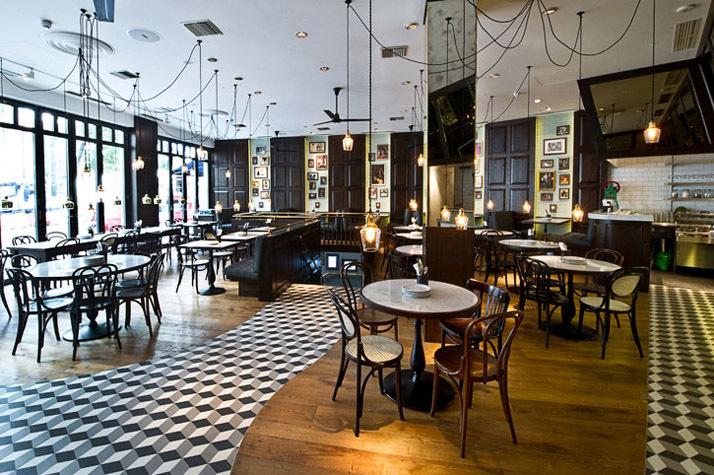 The 2 year effort has now paid off as Dishoom is getting plenty of praise from whom it matters most, the people. Afroditi Krassa, an award winning, dynamic and passionate designer working in London, looked into Bombay's rich past and diverse layers rather than focusing on the stereotypes that defined Bombay. The creative approach allowed focus and refinement to what Bombay truly offers at its root not its facade. By digging deep into the culture through several visits to Bombay (currently Mumbai), Krassa realizes the charm, honesty and beauty of fading Irani cafes. 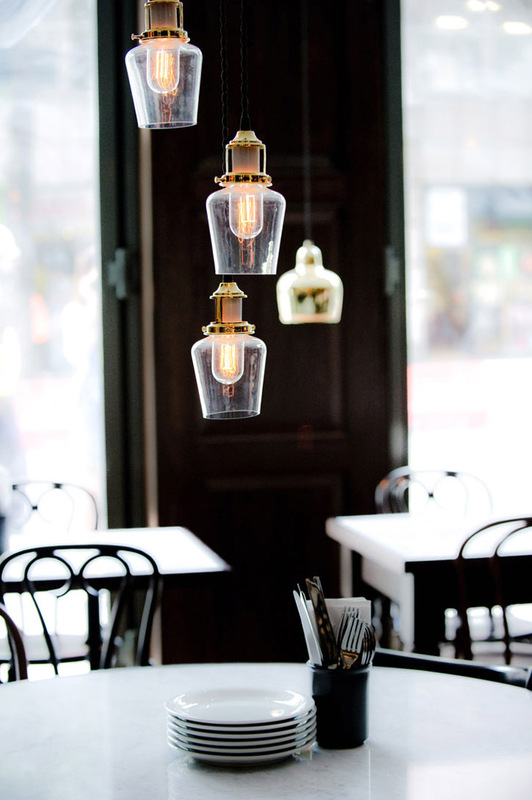 Once positioned all over the city, this fading atmosphere has been declining due to competition from more sophisticated and westernized style of restaurants. The rising salaries have pushed away this traditional setting and its leaving back an integral facet of Iranian culture that migrated to India in the 19th century. The Irani cafe is born out of the community of Iranians as they gathered ever night to share stories of what got them to Bombay and one man serving tea to all would charge a small amount for his effort. This small effort led to the notion of the Irani cafe business. 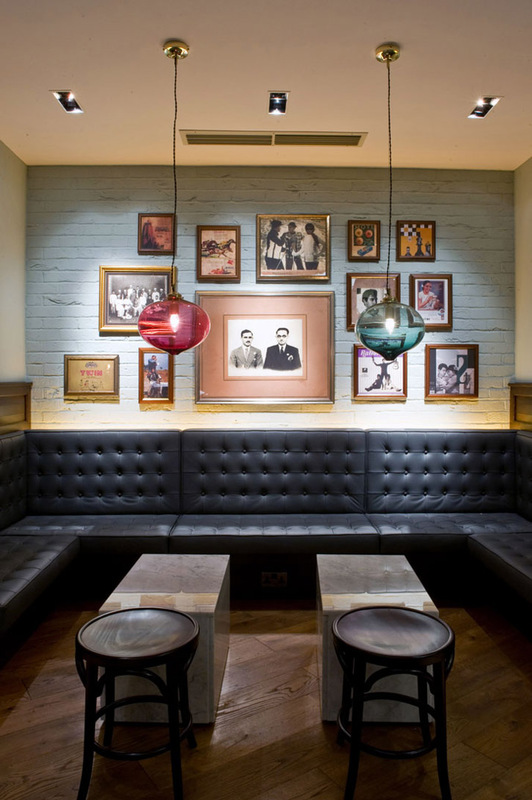 Dishoom's elegant, classic and casual atmosphere quickly resonates with people as they see no presumptions and realize that the focus is on the people, the sharing of time and a rich menu. A fun monochromatic palette combined with elements of the once common Bombay and 60's pop culture add a flare of contemporary dialogue. 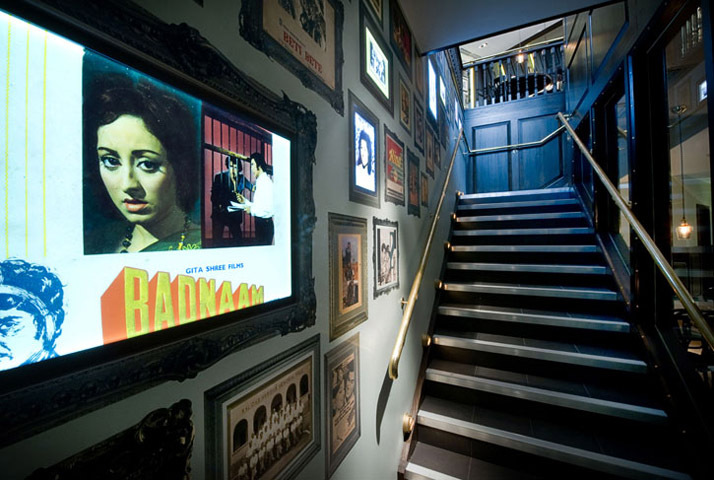 Dishoom is a mixture of nostalgia and celebration of India. Dishoom is an expression from Bollywood like 'Pow!' or 'Bam!' which encapsulates the energy and attitude of the concept, design and identity of a once integrated experience of Iranian community. 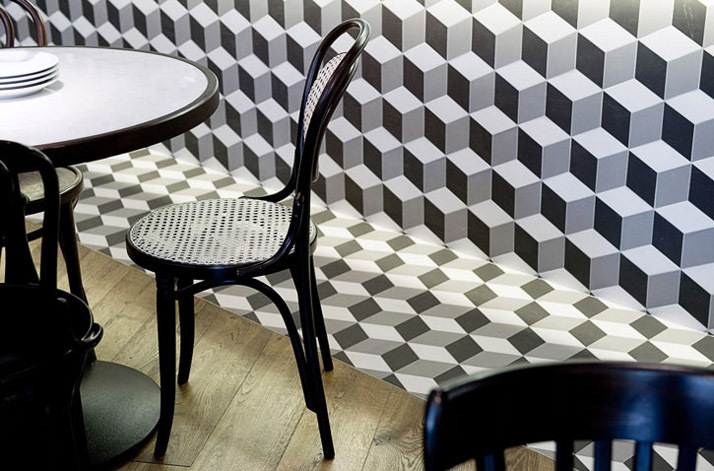 Yatzer loves the attention to the layers of vernacular elements, from newspapers hung on wall, an array of images from Bombay's past, 60's Pop culture, hand lettering, honest placement of cutlery on tables and the beautiful chairs reminiscing Thonet.